Alongi Law Firm, PLLC, located in Phoenix, Arizona, represents clients in family law, juvenile law, domestic violence and criminal defense matters. At our law firm, we understand that when you are reaching out to us, you have a number of questions that you need answered as soon as possible. We take pride in our availability to clients, and we make sure that you feel comfortable discussing the matters that are most important to you. Many of our clients come to us feeling like they have lost hope. They find themselves put into difficult situations and it seems like every answer will only make the problems worse. Tom Alongi works hard to find the solutions to your legal concerns, because he wants you to have a better future. 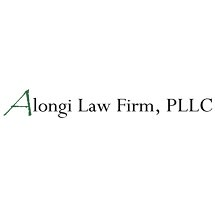 At Alongi Law Firm, PLLC, your case will get our complete attention. We work hard to ensure that you are getting the relief you need at such a crucial time in your life. Tom Alongi is here to help you and your family find answers. We invite you to learn more about the services that we provide.